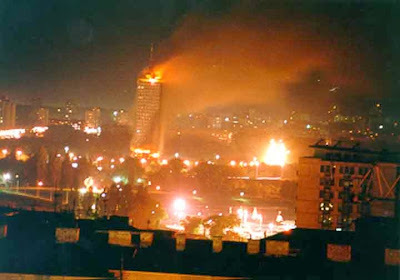 As we Serbs have been SCREAMING (with nobody listening) for 8 years...the American public, the European public, and public around the world has been frauded and bombed with incorrect information about the Balkans since day 1. As more information comes to ahead, there needs to be SOMEONE held accountable, and right now, there isn't anything in place that can legitimately hold the aforementioned liars accountable. All we can do is pass this information along via net, news, and other info services, and hopefully, the world will see what we've been yelling about for so many years. Some of us were listening then and trying to get the truth out and some of us are still trying. If this link is too long goto my site and key in Kosovo into the page search engine.